Are you asthmatic, prone to allergies or sensitive to certain smells? Have you ever considered an air filtration machine, as known as, an air purifier for your home? An air purifier removes allergens, pollutants and other contaminants from the air in your home. These machines can be individual machines or larger machines that work with your HVAC System. A good air purifier will improve your health greatly, reduce mold and allergens from you home and capture dust particles flying through the air. Once you have decided on buying an air purifier for your home it’s time to start comparing products on the market. There are many to choose from. Look for a quality machine that has different control options, is quiet and can purify the correct room sizes for your home. I have chosen three of the best air purifiers to compare and contrast for under $500. 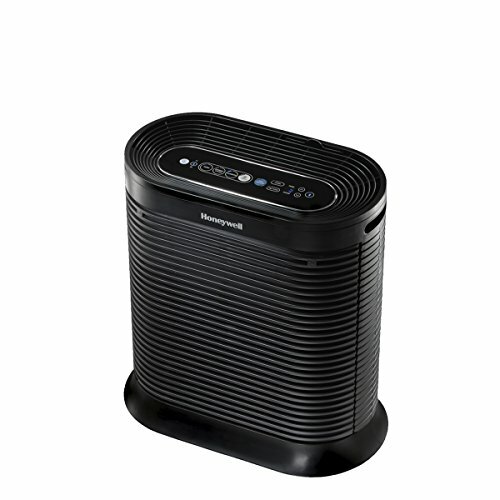 The HoneyWell HPA250B is an energy efficient, smart technology air purifier. 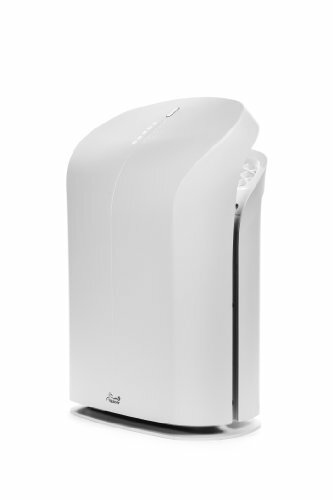 It contains HEPA filters that can effectively remove up to 99.97% of allergens in a room. The smart technology of this air purifier consists of Bluetooth technology and an Android/iPhone App that essentially turns your cellphone into the remote control. This makes this device a great find for tech savvy users looking for a good air purifier. It also has pre-filters that can help deodorize a room. The Honeywell Air Purifier has an auto of timer with 18 different settings. It is a well diverse and highly efficient machine. Clears air in rooms up to 310 sq. ft. This special edition has high-quality HEPA filters that can clean up to 625 square feet, twice per hour and helps deodorize your room. It includes 5-speed settings, a remote control, and a smart display screen. The Rabbit Air BioGS is energy efficient and has an automatic timer. If that wasn’t amazing enough for every Rabbit Special Edition sold they donate 5% to Breast Cancer Research. So you get clean air and can help others too. Change Filters 18 months when used 24 hours a day, or 3 years when used 12 hours a day. 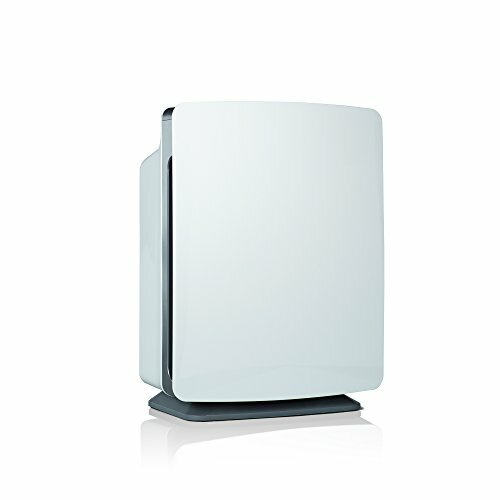 The Alen Breathesmart-FIT50 is one of the quietest air purifiers on the market today and can clean up to 800 sq. ft. It has four speeds, a power/sleep mode, a timer and an ionizer. It’s quite sleek and modern looking, as well as, simple to use. The Alen Breathesmart also has great HEPA filters and an indicator light will alert you when it’s time to change the filters. This is truly a beautiful machine that gets the job done. Above are the three best air purifiers under 500 or close to it. They all have different features. All three brands are well-known and trusted brand names. So how would you go about choosing the right machine for your home? You must first think of what you need and the price you can afford. Well, while we were comparing these three machines, we most liked the Rabbit Air Purifier, although it is pricier than the Honeywell, it has amazing features. The technology is amazing and the reviews were great. We did in fact like the Alen Machine, as well. However, it was much pricier and it was much more machine. The Honeywell machine was okay for the lower end but two different types of filters having to be changed more regularly. In conclusion, the machine that most intrigued us was the Rabbit Air BioGs 2.0. It has the most bang for the buck. Buying a good home air purifier can be quite tricky but if you do the research, check out reviews, and compare prices you are sure to find the air filtration machine that most suits your needs. It’s no secret, we think air purifiers help make a huge difference in your quality of life. Especially if you suffer from allergies or asthma. It’s also just nice to breathe clean air. Unfortunately reliable and effective purifiers can be very expensive. Models from companies like Alen, Blue Air, and Rabbit Air are incredibly effective but they are also out of reach for many shoppers. So we decided to do a bit of research and find the best air purifier under 200 dollars. Our goal – cut through the hype and see which ones actually offer some of the benefits available from more expensive units. 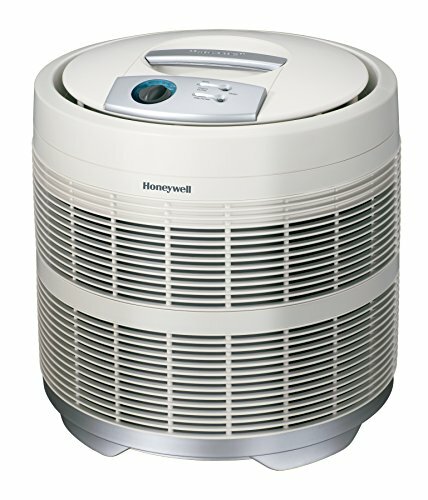 If you are shopping for an air purifier to clean a small office or medium-sized bedroom, you need to consider the Honeywell 50250-S Air Purifier. 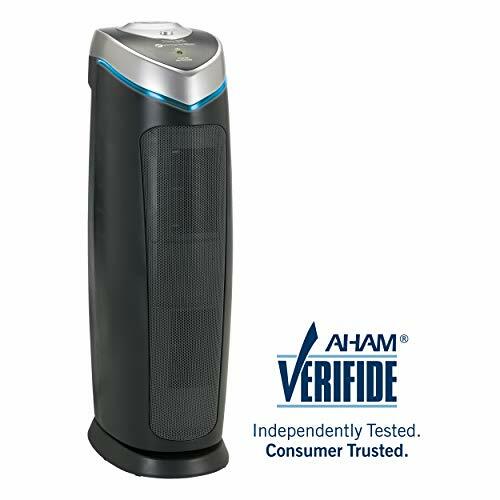 It provides true HEPA filtration and a CADR rating of 250. The unit’s case measures 18 x 18 x 19.6 inches and weighs just 21 pounds. It is designed for spaces up to 390 square feet. And, it features three different speed options and to cycle a room’s air 4.8 times every hour. Regardless of price point, the first thing we look for is a HEPA filter and this machine has one. These filters remove 99.97 percent of typical airborne contaminants as small as 0.3 microns. Pretty impressive, right?It’s even more impressive when you take into consideration that most air purifiers with a true HEPA filter cost well over 200 dollars. And, beyond that this HEPA filter is enormous. The Honeywell 50250-S also comes with an activated carbon pre-filter. That’s our second favorite feature in any purifier. In the 50250-S the carbon pre-filter protects the HEPA filter from getting clogged prematurely. But, since carbon takes care of things too small for even a HEPA filter, it also effectively removes VOCs and household odors. For further discussion, check out the full Honeywell 50250-s review. This is one of our favorite purifiers, period. It’s a great unit. It has both HEPA filtration and activated carbon. Best of all if you’re already committed to investing $200 on clean air… you can get two of these and still have a few dollars to get yourself a little something extra. We could go on and on about these machines, but we’ll stop here so this doesn’t turn into another “Why we love GermGuardian” post. If you want more info check out our full 4825 review, or just type “germguardian” in the search box. We’re huge fans and we’ve reviewed most, if not all, of their purifiers. We think everyone needs an air purifier. They’re great. But, more importantly, we strongly believe that you shouldn’t have to spend a fortune to clean the air in your own home. There are tons of air purifiers readily available on the market, but most do not come cheap. And, a lot of those that are affordable are packed with gimmicks and junk science. That’s why we did the heavy lifting and found you three excellent options. Free of gimmicks and full of value… these are really the best air purifier options under 200 bucks. For their very affordable price tag, they still perform well and might even exceed expectations of an affordable air purifier. However, if you have more cash to spare, take a look at some of the higher end brands, e.g. under 500 dollars, or even over. They’ll provide a ton of performance and dollar for dollar a better value than even the three we’ve shared here. Although that GermGuardian is tough to beat. If you’re looking for something above and beyond in both price and performance check out Air Mega. First off, the air in your home is dirty. According to the EPA it’s probably dirtier than the air outside. Don’t worry it’s not your fault, we’re constantly bombarded with pollutants and once they’re inside it’s difficult to get rid of them. There are a lot of things that you can do to help clean things up, but an air purifier is probably the most passive approach. Air purifiers, without much work on your end, help remove harmful airborne contaminants like pet hair, pollen, pet dander, mold, and some even help with tobacco smoke. Second, air purifiers, with activated carbon, help fight odors and battle harmful VOCs. Volatile Organic Compounds are almost everywhere, and they’re dangerous. Granted, increased awareness, regulations, and media coverage is helping reduce our exposure, but it’s still not hard to introduce VOCs into your home. From furniture to building materials, to cleaning supplies a lot of products off-gas harmful airborne contaminants. And, a purifier with activated carbon is able to soak up VOCs like a sponge. That miracle material also help keep pet odor, smoke smell, and general household funk under control. Third… you deserve to breathe the best air possible. There are a lot of things that ruin the air we breathe, and most are out of our control. Fighting global pollution is something you can do at the ballot box, but that is proving increasingly difficult. However, when it comes to the air in your home you can turn that around in short order. Keep things clean, ventilated, and consider an air purifier for everything else; and you’ll enjoy some of the freshest air on the planet.